Another season of gift giving and traditional family gatherings. Adults and kids alike cheer to celebrate the birth of our savior, Jesus Christ. 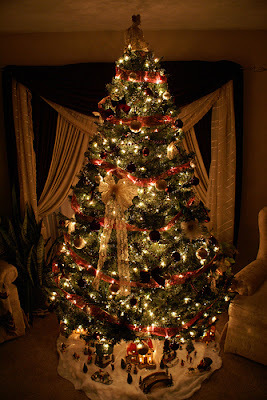 The warmth of the christmas tree brings happiness and joy to every houses as children sing their carols in exchange for sweet little favors from both willing and unwilling neighbors. Every year, christmas has been festive - buffet, exchange gifts and shindigs. Though this year is a cold one, still christmas reminds that it is not only a celebration for those loved-ones around, but for those loved-ones who passed away as well. Feliz Navidad!